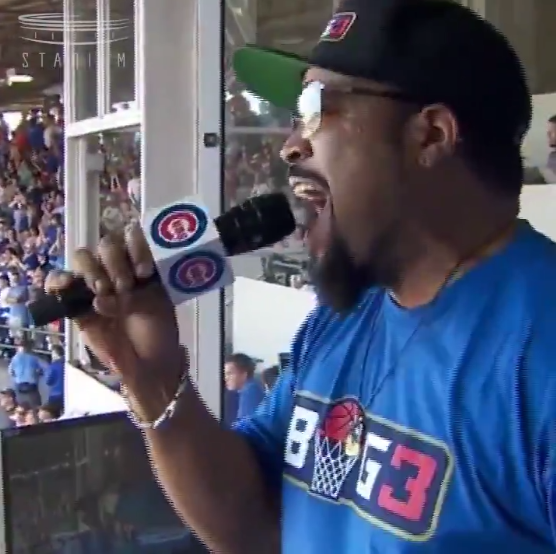 On Saturday, Ice Cube sang “Take Me Out to the Ball Game” during the customary seventh inning stretch at Wrigley Field. The clip’s a couple days old, but it’s very good: Cube does a throaty speak-sing closer to a recitation than a soulful rendition and flubs a few words (nothing too bad! ), while the fans in the crowd look… confused. But who amongst you could do a better job, or have a better time? Watch it below. The Cubs went on to beat the St. Louis Cardinals, 3-2.